Sleep is one of the most fundamental and basic things humans do. If we don’t get enough, terrible things begin happening to our minds and bodies. And if we don’t get any sleep after too long, we’ll literally die. But many find it extremely challenging to not only get an adequate and consistent amount of sleep every night, but to do it well. Business Insider previously turned to an expert — sleep scientist Patrick Fuller, an associate professor of neurology at Harvard Medical School — to get some answers. He gave us the lowdown on what he does to ensure a good night’s sleep every single night. While this routine works for Fuller, it may not be feasible for everyone’s lifestyle and schedule. But Fuller says that this schedule leaves him feeling happy and rested. Here are seven things he does to ensure a great sleep every night. If you wake up at 11 a.m. on Sunday morning and then try to fall asleep later that night to be up for work by 7 a.m. Monday, you're not going to have enough 'sleep drive' -- or the desire to fall asleep -- to hit the hay early enough. 'Maintaining some level of physical activity is really important,' Fuller said. 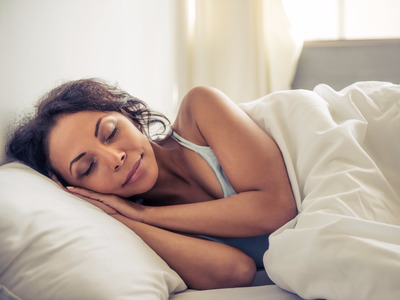 In fact, according to the National Institutes of Health, drinking alcohol just before bedtime decreases the amount of time you spend in REM sleep -- a deep and restorative phase of sleep. Fuller wakes up every day at an impressive 5:30 a.m. His goal, then, is to be in bed with his eyes closed by 9:30 p.m.
That's a tall order when there are dishes to wash, Netflixes to watch, and news to read. In order to set his body's internal clock to prepare it for sleep time, Fuller begins a ritual of dimming the lights about an hour before bedtime. Remember how dim lights cause a spike in melatonin production to help you fall asleep? Bright blue light from smartphone and iPad screens completely counteract that effect. They do this by tricking your brain into thinking it's daytime, causing those sleep-inducing melatonin levels to drop. Fuller tries to avoid or at least limit his iPhone use after 8:30 p.m. -- an hour before he falls asleep. As you can probably tell by now, the secret to getting a good night's sleep every single night involves setting up a routine that you stick to. In order to be bright-eyed and bushy-tailed when your alarm clock rings (at the same time every morning, right?) you have to go to sleep at the same time every night. 'My wife teases me and calls me grandpa,' Fuller said. While Fuller does try to stick to this routine every day, he is realistic and does stray from time to time to accommodate, well, life. But when he does keep up with this routine, he finds that it always pays off. And so should you. Sleep tight!